View More In Wedding Bands. 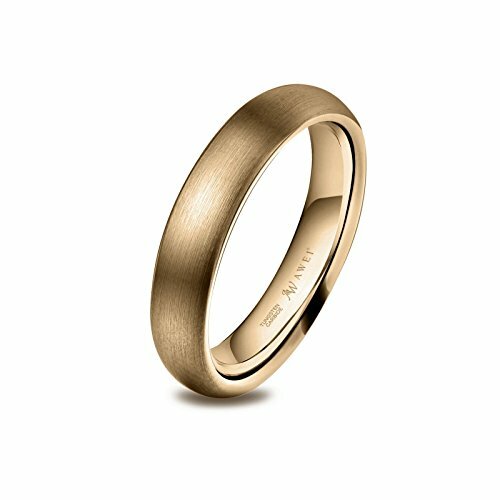 Classic, elegant and fashionable, tungsten rings are stunning, super hard, and virtually scratch-proof. 1. Tungsten Ring Cleaning: Your tungsten ring requires no complicated cleaning or maintenance procedures. To make a cleaning solution for tungsten jewelry, simply mix warm water with a few drops of mild soap. It is best to avoid using an ultrasonic jewelry cleaner when cleaning tungsten rings. 2. Tungsten Ring Care Tips: Keep your tungsten ring away from harsh chemicals. Avoid your ring impacting on any hard substances. It is best to store your tungsten ring separately. When taking off tungsten ring, you can place it inside the free ring box and then put the box in a safe space. AWEI: A Way to Wedding Bliss. Here at AWEI Bridal Collection, these are our motto from day one. Trusted by more than 400,000 newlyweds worldwide, we hope to share with you everything you need in these cherished happy moments.